For every 2 bottles purchased of Nature Guard anti-mosquito spray, 1 bottle will be given for FREE to a family in Payatas. Introducing Nature Guard anti-mosquito spray, a safe and effective, non-DEET insect repellent that provides up 6-8 hours protection against Dengue, Zika and Malaria mosquitoes. All formulated with IR3535 ®, a tested insect repellent that has been used in Europe for over 3 decades with excellent safety records. 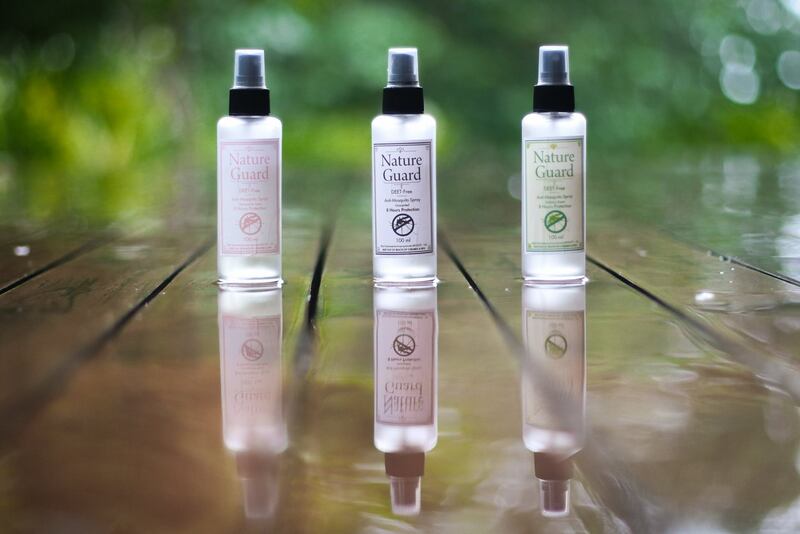 Nature Guard’s active ingredient is approved by the World Health Organization as a safe and effective insect repellent. Safe for use by children (12 mos up) and pregnant women. – Nature Guard Unscented anti-mosquito spray (100ml) + Nature Guard Chamomile anti-mosquito cologne spray (100ml). Our Chamomile scented anti-mosquito spray has a mild baby cologne scent. – Nature Guard Unscented anti-mosquito spray (100ml) + Nature Guard Verbena anti-mosquito cologne spray (100ml). Our Verbena scented anti-mosquito spray has a light and refreshing citrus scent. – Nature Guard Chamomile anti-mosquito spray (100ml) + Nature Guard Verbena anti-mosquito cologne spray (100ml).